Automated translation, also known as machine translation, allows users to instantly translate words, sentences, full documents, and websites from one language to another. Translations are performed at speeds of up to one sentence per second – infinitely faster than any human can ever translate. Though automated translation does not provide the same level of quality and accuracy as human translation, they provide quick insight into the general meaning or “gist” of a text, thus helping us to cross language barriers between nations and facilitate multilingual communication. To ensure quick translations of texts, automated translation systems are trained on huge amounts of existing human translations. Using sophisticated algorithms, the automated translation systems then mine this parallel data to produce instant translations of texts. Automated translation systems can be further improved by adding industry specific terminology, linguistic rules, monolingual data, and other language resources. This effectively customizes, or tailors, a system to a particular domain or industry. The European Commission’s online machine translation service is called MT@ EC. The service produces translations into and from any official EU language. MT@ EC is currently available to public administrations in any EU country, Iceland, or Norway, as well as to all EU institutions and agencies. The machine translation systems in MT@ EC work best with texts on EU-related matters. Users can translate texts and full documents. Check out this presentation from the ELRC workshops to learn more about MT@ EC. CEF eTranslation builds further upon the existing MT@ EC service to create a truly pan-European automated translation platform, providing high quality translations in all official EU languages and in various domains. CEF eTranslation helps European and national public administrations exchange information across language barriers in the EU. The main purpose of CEF eTranslation is to make all Digital Service Infrastructures (DSIs) multilingual. While CEF eTranslation is mainly intended to be integrated into other digital services, it also offers useful stand-alone services for translating documents or snippets of text. Unlike general-purpose web translators, CEF eTranslation will be adapted to specific terminology and text types that are typical for the usage context (e.g. tender documents, legal texts, medical terminology). It enables multilingual operation of digital services and can be used to reduce the time and cost of translating documents. Europe and Multilingualism – How can Public Institutions benefit from the CEF Automated Translation platform? from Difi on Vimeo. The European Language Resource Coordination (ELRC) consortium is made up of the leading players in the field of innovative language technology in Europe. Work in ELRC Network activities is led by the German Research Center for Artificial Intelligence (DFKI), the leading German research institute in the field of innovative software technology. Work in ELRC Data activities is led by Tilde, a leading European language technology company specializing in machine translation and terminology. 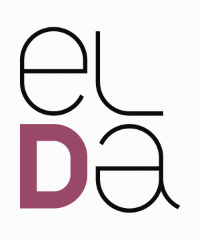 The ELRC consortium's other members are the Evaluations and Language Resource Distribution Agency (ELDA), based in Paris, which makes available language resources for language engineering; and the Institute for Language and Speech Processing (ILSP), based in Greece, a centre of excellence in basic and applied research in human language technologies.